Perfectly located between Shoreline Business Park and vibrant Castro Street, The Shadows puts you right in the middle of the action. Why sit in traffic when premier tech hubs, like Google, Microsoft, and LinkedIn are just minutes from home? You can literally walk or bike to work, as well as a spectrum of global cuisine in a buzzing, energetic downtown Castro Street area. 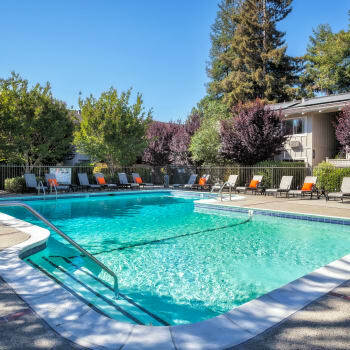 There are many recreation and entertainment options at nearby Shoreline Park, along with a Caltrain station nearby to whisk you anywhere on the Peninsula, San Jose, or San Francisco. Combine that with an ideal location, spacious layouts, and modern features, including an in-home washer and dryer and wood flooring, plus superior amenities, like two separate pool areas with WiFi and a co-work space, and The Shadows adds up to the perfect living space for your active lifestyle. 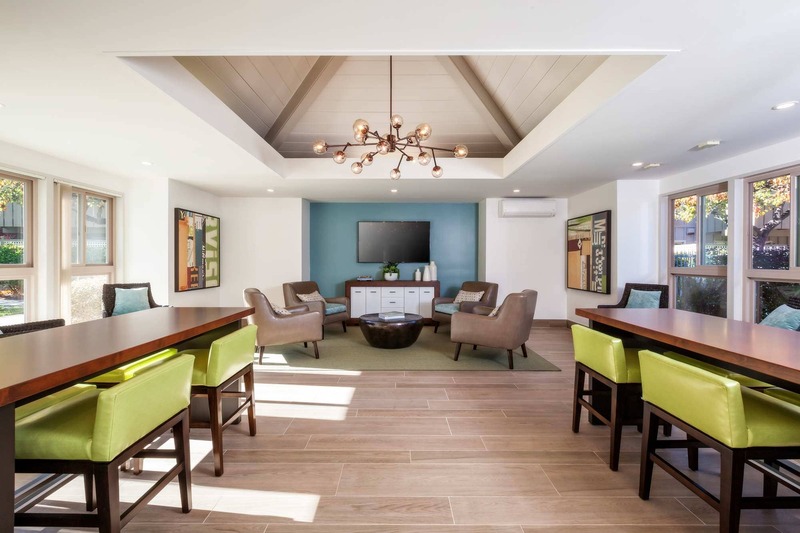 Explore our full list of amenities. "Serenity like this is hard to find in Silicon Valley." As the epicenter of Silicon Valley’s tech scene, Mountain View has emerged as a top living destination. Whether it’s parks and recreation or big-time tech jobs and a walkable neighborhood you want, the vibrant Mountain View neighborhood has everything you’re looking for in a community. Float away the day at nearby Shoreline Park with its large lake and walking paths. Head down to Castro Street for locally crafted food and drinks, or make your way to the Stanford Shopping Center to pick everything you need to outfit yourself and your home. No matter what you need, you’ll find it close to home at The Shadows. 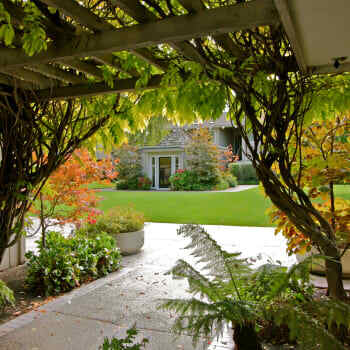 Visit our Mountain View apartment community to find the home you need to live the life you want.